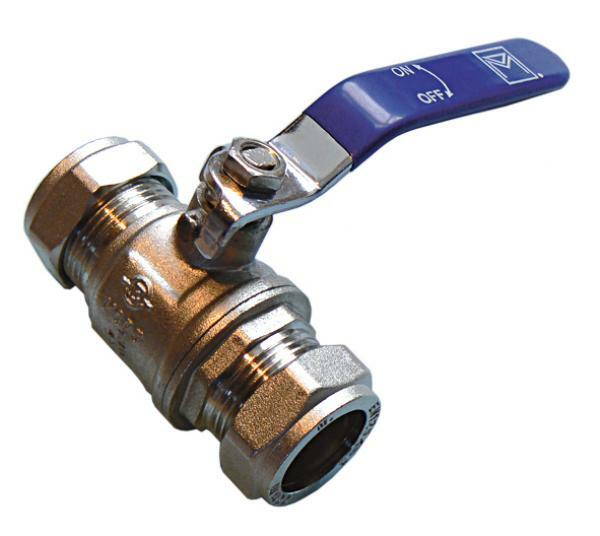 WRAS approved lever 15mm isolating ball valve with blue handle. Large bore / full flow. Compression connections for 15mm pipe.